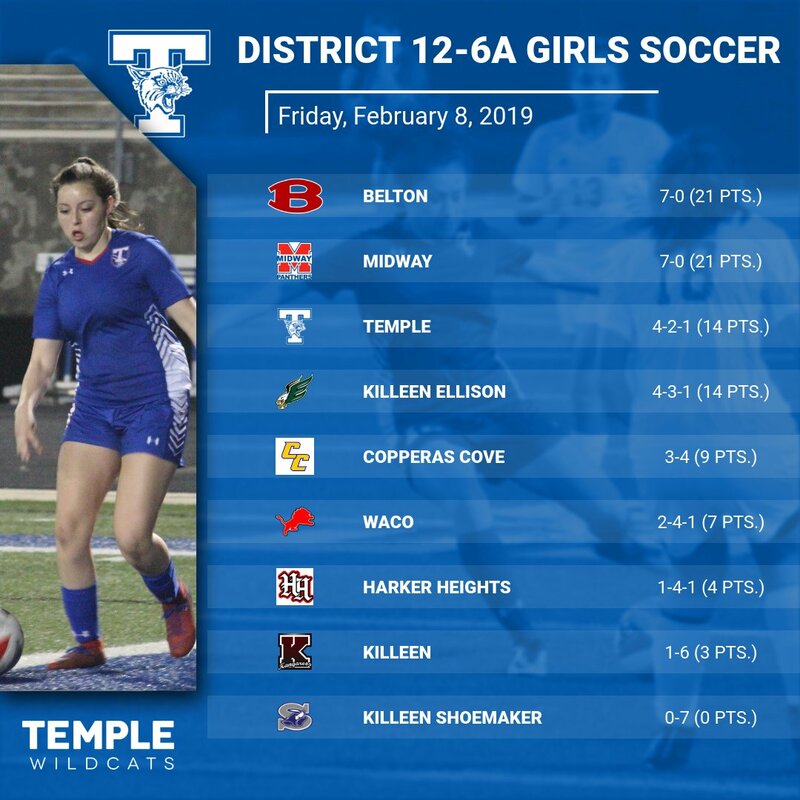 HEWITT – The Temple Lady Wildcat Soccer team dropped a battle of second place teams on Friday by a score of 3-0 to the host Midway Pantherettes. 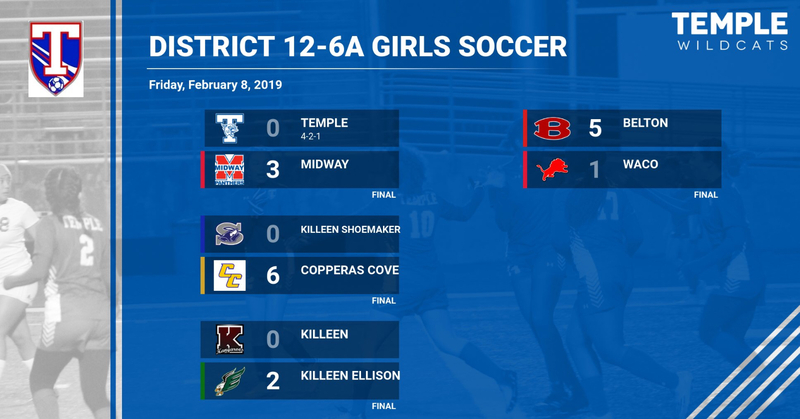 The loss drops Temple to 4-2-1 in district play and into a tie for 3rd Place with Killeen Ellison. Temple will host 5th Place Copperas Cove on Tuesday Wildcat Stadium beginning at 7:30 pm.